Last week, the United States and China formally joined the Paris Agreement in a ceremony in Hangzhou, China ahead of the G20 Summit. President Obama and President Xi both deposited their country's official instrument with United Nations Secretary, General Ban-Ki Moon. This ends the speculation about when the world's two largest greenhouse gas emitters will join the landmark international climate agreement. While 195 countries adopted the Agreement last year, it will actually enter into force when 55 countries accounting for at least 55 percent of global greenhouse gas emissions join by approving it domestically and submitting their "instrument of ratification, acceptance or approval" to the UN. The U.S.-China move brings the world firmly within range of hitting the 55-55 threshold this year--perhaps as soon as this month. 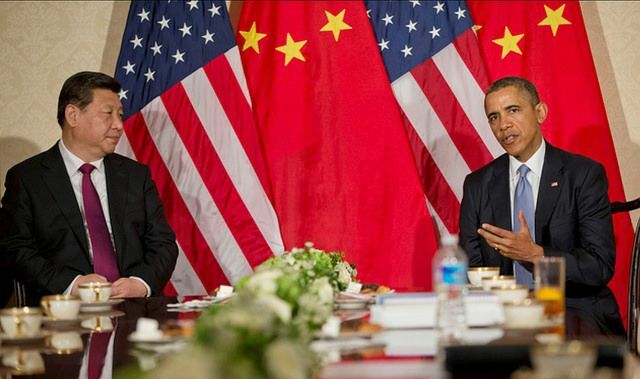 The United States and China together account for approximately 38 percent of the world's total greenhouse gas emissions. By swiftly joining the Paris Agreement, the United States and China have turned the page from making commitments to delivering action, and have encouraged other world leaders to follow their lead. Today's joint statement also deepens the relationship between the two countries on climate change, building on previous joint statements released in November 2014 and September 2015, which helped pave the way for success at COP21 last year. In joining the Paris Agreement together, they have emphasized what can be achieved through cooperation and reconfirmed their responsibility to lead by example. This is the first-ever G20 to be held in China, and brings together the world's largest economies. Of those attending, Argentina, Australia, Canada and Mexico have all committed to join the Agreement this year, and Brazil appears poised to join soon following the completion of its domestic approval process last week. Given the strong signal now sent by the United States and China, a number of these countries are expected to follow through on their commitments as early as this month. The UN Secretary General has scheduled a special event on September 21 during the UN General Assembly for countries to join the Agreement by submitting their formal instruments of ratification, acceptance or approval. How close are we to entry into force? Entry into force means that the Paris Agreement will be in full force and effect under international law, binding those countries that have joined and catalyzing implementation of their commitments. Reaching entry into force rapidly will also demonstrate strong political commitment to the Agreement and increase the pace of putting its operational elements in place. 27 countries representing 39.08 percent of total greenhouse gas emissions have now joined the Paris Agreement. According to our analysis, a further 31 have either committed to join this year or are extremely likely to, based on national statements and completion of domestic ratification processes. This would bring us to 58 countries representing 58.42 percent of emissions - well over the 55:55 threshold this year. If the 55-55 threshold is reached by October 7 this year, the first meeting of the Parties to the Paris Agreement (referred to as "CMA1") will take place in conjunction with COP22 in Morocco this November. Alternatively, if the threshold is reached later this year, CMA1 would commence at the next major UN climate summit in 2017. Parties would then need to determine a process for adopting the key procedures and guidelines to implement the Paris Agreement. Such rapid entry into force would continue the momentum created at Paris last year, help spur early implementation, and reinforce the global commitment to building a zero-carbon, climate-resilient future. Regardless of whether it happens by October 7 or later this year, one thing is certain: The Paris Agreement is destined to become one of the most widely and swiftly ratified international treaties in history. For example, the Kyoto Protocol, the international climate treaty that preceded the Paris Agreement, took seven years to enter into force. The United Nations Framework Convention on Climate Change before it took two years. How can I monitor progress on ratification of the Paris Agreement? Follow the progress on WRI's Paris Agreement Tracker, which will be updated in real time as new countries join in the coming weeks. The Paris Agreement Tracker is now available in six languages: English, Spanish, French, Portuguese, Chinese and Japanese.